Not sure what to get? 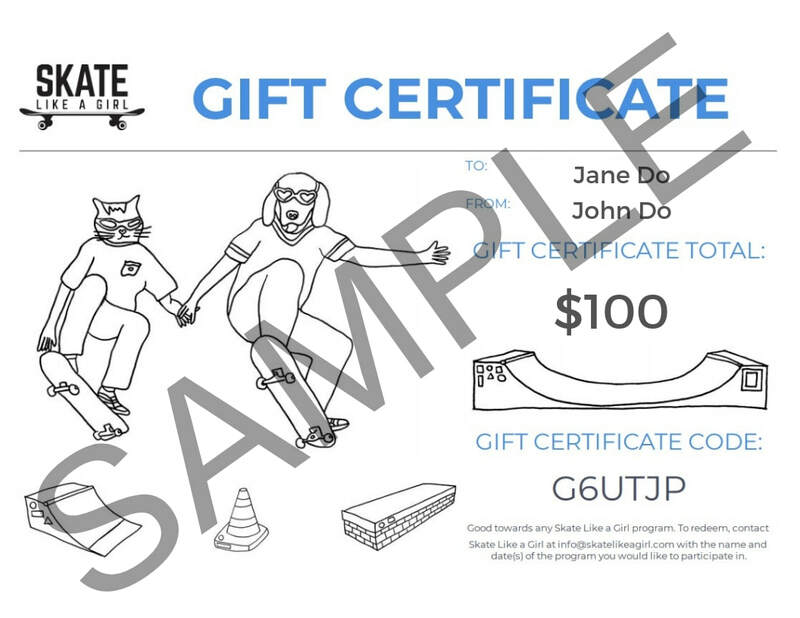 Try a Skate Like a Girl Gift Certificate! Customizable and in any denomination!